The province aims to attract 2 million visitors in 2019, including about 175,000 foreigners, thus earning about 1.74 trillion VND (74.82 million USD) from tourism. According to Vice Director of the provincial Department of Culture, Sports and Tourism Nguyen Van Chien, the province is offering preferential policies to enterprises investing in the Cua Tung-Cua Viet-Con Co triangle. Currently, Vietnamese FLC Group is considering investingin a tourism-resort-entertainment-urban complex in Quang Tri, while AE Group has implemented the 490 billion VND AE Resort Cua Tung project covering more than 36 hectares which is expected to complete in 2021. 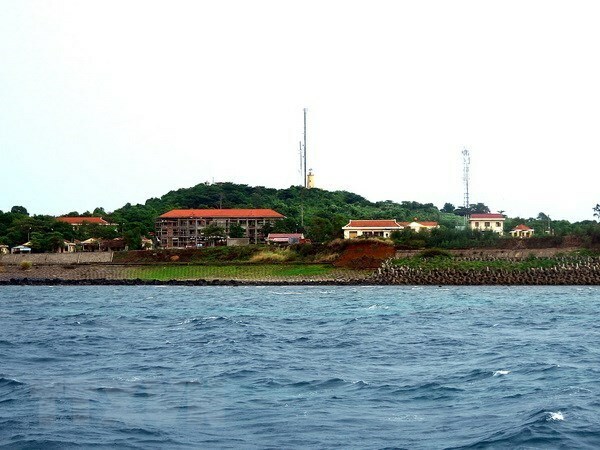 Since late August 2018, the People’s Committee of Con Co island district has operated high-speed ships to carry tourists from Cua Viet to the island, shortening the travel time to 45 minutes from 2 hours. In 2020, Con Co expects to operate 2-3 such vessels to serve tourists. In 2019, Quang Tri will carry out a number of activities to lure visitors, including a performance featuring the art of Vietnam, Laos, Cambodia, Myanmar and Thailand, while organizing a Thach Han riverside festival, a pedestrian and nigh market in Dong Ha city, as well as tourism sites in the East-West economic corridor. Alongside, the province will popularize its tourism trademark of “War memory-peace desire” with more than 500 revolutionary and historical relic sites, including four special national sites of Hien Luong-Ben Hai, Ho Chi Minh Trail, Vinh Moc tunnel and Vinh Linh tunnel village, and Quang Tri ancient citadel, among others. In 2018, Quang Tri welcomed 1.82 million visitors, up over 10 percent compared to 2017, with a turnover of over 16.2 trillion VND (69.99 million USD).